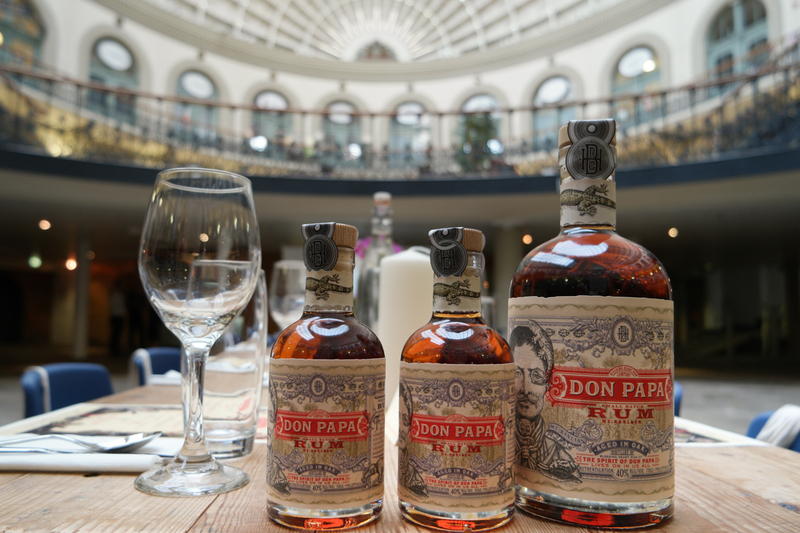 Don Papa Rum arrived into Leeds with an event shrouded in mystery that not only introduced us to this small batch rum, but also to the secrets of Sugerlandia. Arriving at the Corn Exchange after hours was a little magical, it was quiet but there was a buzz in the air. The usual brigade of shoppers had left and in their place a long table had been beautifully arranged. 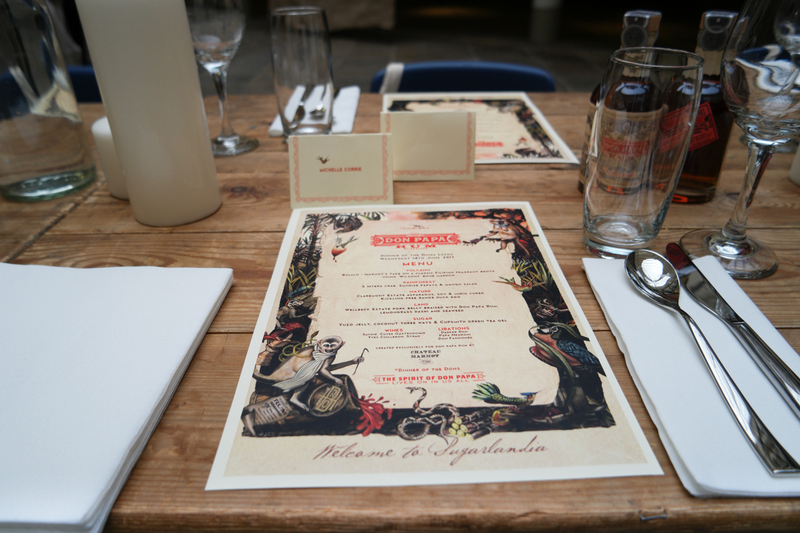 15 personal dinner settings and name cards were placed with a stunningly designed menu that matched not only our invites but also the bottles of Don Papa rum. 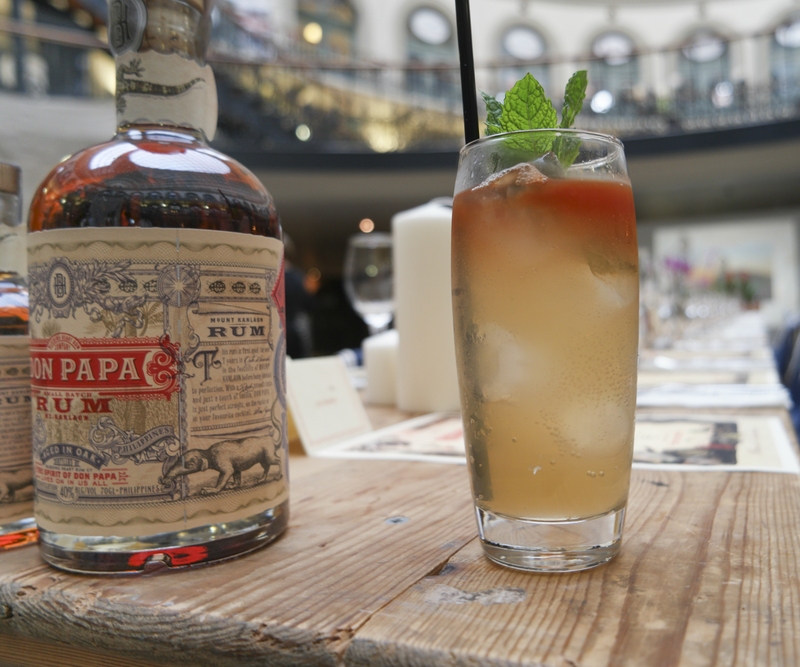 Our first taste of Don Papa rum was in our welcome drink. A Darker Don a take on the traditional Dark n Stormy. It was delicious. I don’t think you can go wrong with a rum and ginger beer cocktail, it was light and with mint help to bring out the flavours of the drink. 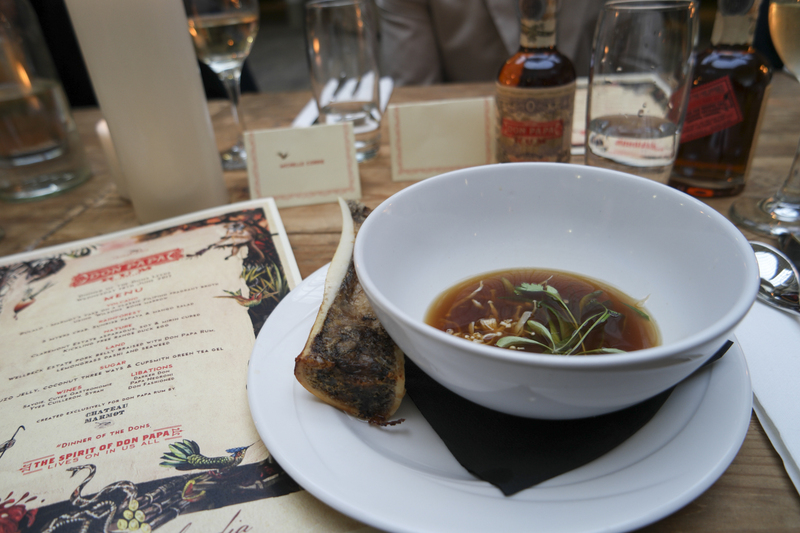 The menu was artfully divided into 5 course; Volcano, Rainforest, Nature, Land and Sugar was put together exclusively for Dona Papa Rum by Chateau Marmot and it was chuffin’ amazing. Bulalo – A fragrant bone broth and bone marrow. So I won’t lie here, I was initially a little sceptical of the bone marrow sat on my plate looking at me. However, once tasted, it has now convinced me to try maybe it again. Spread onto bread, almost like a beefy butter it was light and tasty, not at all like I expected. 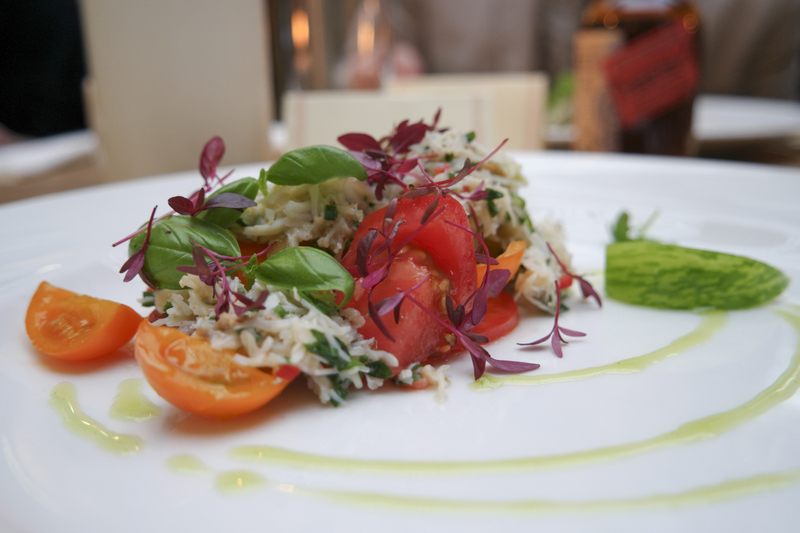 A fresh crab salad featuring heirloom tomatoes instead of mango (as they didn’t look up to scratch when they went to the market, this kind of detail gets a thumbs up for sure) was paired with a glass of Savoie Cuvee Gastronomie which really brought out the flavours of the dish. This next dish included duck egg 3 ways with asparagus. In my head this was boiled, poached and fried. I was wrong. What was presented was I think my favourite course of the night. The egg was so tasty, perfectly cooked and paired with a Papa Negroni cocktail. Now I always thought paring drinks with food was a little bit of con. Alas I have been proved wrong, the Negroni almost changed the taste of the course completely. 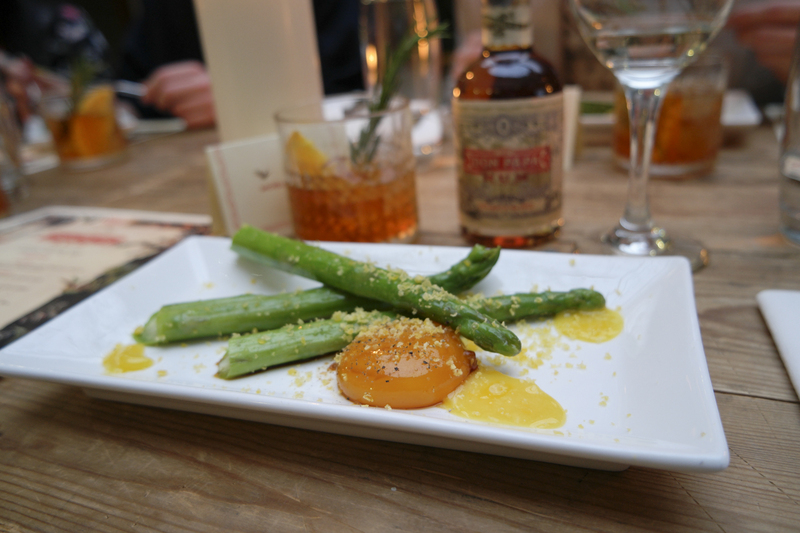 It made the egg seem so much sweeter and it perfectly complimented the asparagus. 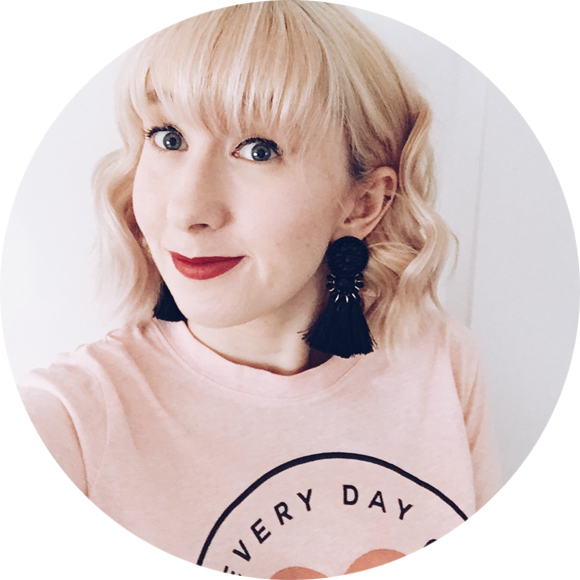 It’s fair to say I am now a convert to the food/drink matching scene. 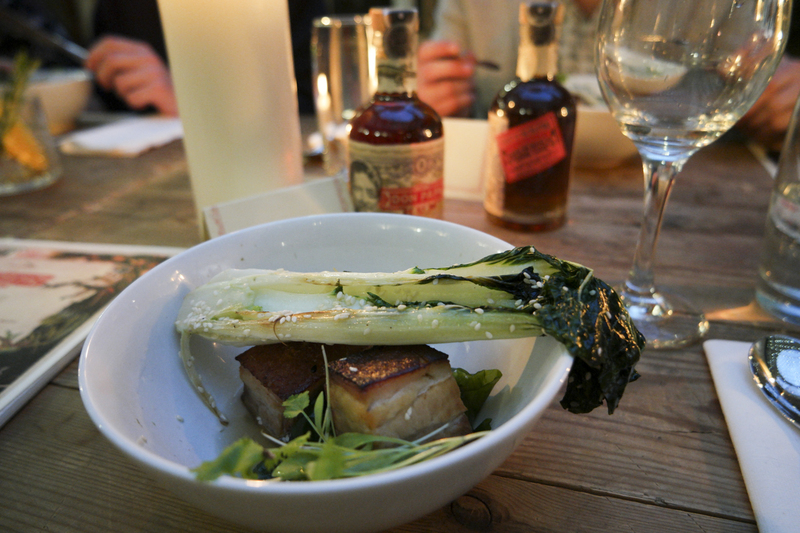 Pork Belly braised with Don Papa rum, was our fourth course of the evening. Pork belly that is well cooked and presented beautifully is somewhat of a winner in my eyes. Tasting the suitable hint of rum really pulled it all together. 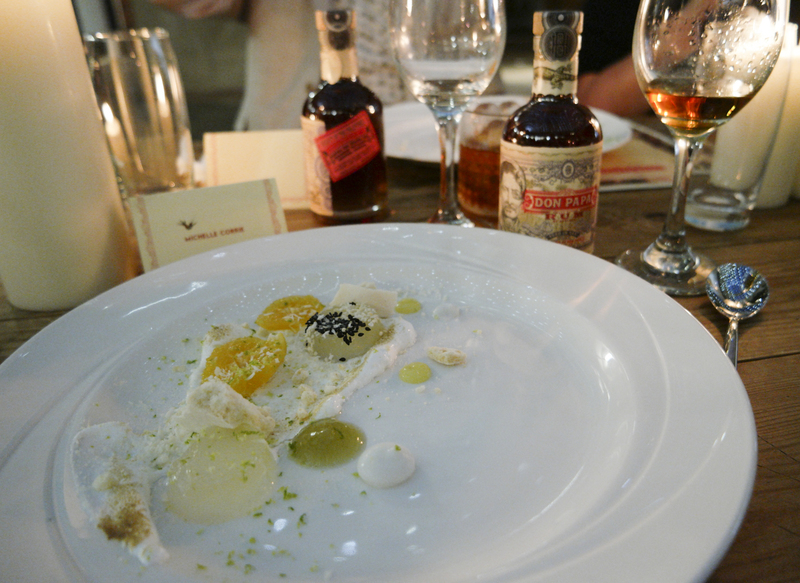 The meal was rounded up with a coconut three-way dessert, paired with a Don Fashioned and a straight up rum. It was light and perfectly ended the evening. Don Papa is a small batch rum from the Philippines, it is smooth rum that doesn’t burn when drank neat but gives a lovely warming feeling. I found the flavours of vanilla and honey came through and it was very palatable. There are also 50 creatures hidden on the bottle so in-between your pouring drinks for yourself have a look on what you can find!